According to the promise of the BJP government, the central and the particular state governments have announced many schemes that will lessen the burden from the shoulders of the farmers. One such scheme has been launched in UP and the name of the program is Kisan Karz Mafi Yojana or the Loan Waiver Scheme of 2017. The Loan Waiver Scheme in Uttar Pradesh is all set to be announced on the 9th July 17. The entire event of publishing the list of selected farmers, under the First Phase will take place in the presence of the CM Yogi Adityanath and his Cabinet Ministers at the Smriti Upvan on the 17th August, 17. Loan waiver for the farmers of UP – The program has been launched for the assistance of the farmers who are residents of the state of Uttar Pradesh. Under the scheme, the state government will release the pressure of repayment of the agricultural credit taken by the farmers. Small Farmers – The small to medium farmers find it difficult to pay the loan back. So, the new scheme will only permit entry to those farmers who have a farm that is either 2 hectares of less in size (not more than 5 acres in measurement). Loan up to one lakh – All medium and small farmers who have acquired credit from the banks that amounts to one lakh or less will get the benefits of the waiver scheme. If the amount is more than that then they will not be able to apply for the benefits. Single loans only – Those farmers who have applied for and acquired loans from many banks, in separate segments, will not be allowed to get the waiver. Only single credits of one lakh amount will be relinquished. Loan approval date – The benefits of the scheme will be available to those agricultural workers, who have applied for the credit before the 31st of March, 16. Any loan taken after the date will not be considered. CM will give the waiver certificate to around 7500 farmers of the state on the 17th of the August. Under the program, the state government of wants to assist around 27.5 lakh agricultural workers in managing their debt burden. A total budget of 36,000 crores has been arranged for the scheme. The budget required for supporting the loan forgiveness scheme will be tackled by the state government. The central government will not provide any financial assistance as of now. It has been highlighted that the program will be implemented all over the state at the same time. Though the main ceremony will be held in Lucknow, certificates will also be given to selected farmers in other 74 districts as well. 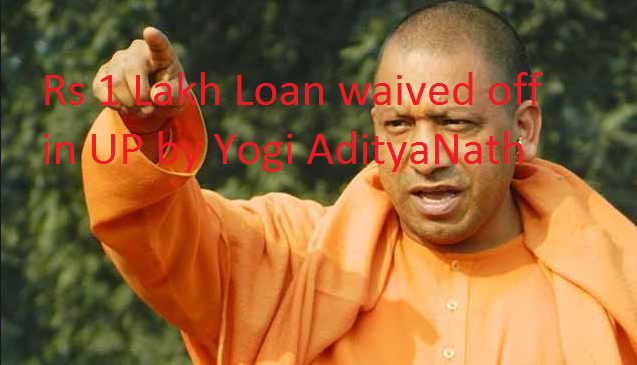 Documents of the credit – The farmers will have to attach the loan papers with the credit waiver application form. The credit application documents from the bank will support the claims of the farmers. Residential papers – As the program has been designed exclusively for the farmers of UP, all candidates will need to attach such documents, which will support their claims of being residents of the state. Aadhar card of the farmer – It is mandatory for the farmers to provide the photocopy of the Aadhar Card. It will assist the farmers, the government as well as the bank authority in taking care of the operations. Bank account details of the farmer – The bank account, through which the farmer had opted for the credit, must be provided along with the scheme registration form. The waiver sum will be shifted in the account itself. How to register for the scheme? All eligible farmers who want to get the credit waiver will have to click on the link http://upkisankarjrahat.upsdc.gov.in/#sec2 to start the registration process under the program. If the farmer has already registered, then clicking on the “login” will be enough. After clicking on the login button, the farmer will have to get to the form by tying in the ID and the password. All those who are not already registered need to “sign in.” For this, the farmers need to log on to the site and provide all details that have been asked for. All details of the farmer, like the name, address, age, land details, contact details, loan related information, Aadhar Code, must be entered correctly in the registration form. To make sure that the application form has been filled with only the correct information, the applicant needs to recheck all the details once again. If all is in place, then the registration process can be ended by clicking on the “Submit” button. All verifications, related to the waiver application will be done later on. The government is expected to declare the first list by the 17th of August. The First Phase – The First Phase of the program will only include those agricultural workers who already possess their Aadhar Card. These farmers will be awarded with the waiver certificate on the 5th September in all districts. The Second Phase – The second phase of the scheme will deal with those farmers who are free from any land disputes but do not have their Aadhar Pass. The Third Phase – In the third phase, the department will process the application of those farmers who have any legal dispute, related to the land. How to know Kisan Karz Mafi list 2017? Once the state government starts the implementation of the scheme and the First Phase has been completed successfully, the list that contains the name of the selected farmers will be published on the authorized portal of the scheme. The State Agricultural Department will have the responsibility of overseeing all aspects of the scheme. All details of the scheme are available on the authorized website http://upkisankarjrahat.upsdc.gov.in/ and the toll free helpline numbers for acquiring info are 9235209436 and 9412626279. A scheme like this will burn a hole in the coffers of the state government. As the central government will not assist the program, the state government has already allocated a whooping budget of 34000 crore for the success of the program during the financial year 2017 – 2018.